Looking back over last year ! What a great Christmas concert we had. Here's to making more memories in 2019!! First to visit us our own superhero!!!! Our topic for this term is based around the theme 'Superheroes'. This topic focuses on children developing their own super characters and using them to create comic strip story boards and a stop motion film clips. 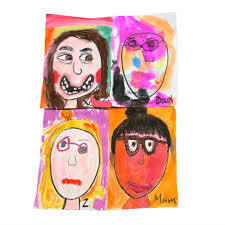 We will be using our creative skills to paint colourful graphite and pop art work. Within other areas of the foundation phase the children will be thinking about real life heroes and how they help and support us. English homework will be set for the term around this learning, giving a choice of weekly tasks. Maths homework will be set on a weekly basis. Library day will be on a Thursday 3pm. and t-shirt to change into as changing is a skill within the physical development curriculum. They will be bare footed. Fruit money will be £7 for the half term.